Enjoy this light yet aromatic chicken dish containing healing properties. Both ginger and lemongrass have been used for centuries to support digestion and the immune system, and heal the gut. The cilantro also acts as a digestive aid and is a good source of vitamin K, C, and A. The lime and fresh basil will add zing and freshness to this recipe. Saute the spring onions, ginger, shallot and lemongrass gently in the coconut oil, without browning. Add the minced chicken and cook together, stirring for around 10 minutes until the mixture has a crumbly texture. Add the herbs and season to taste with lime juice and salt. 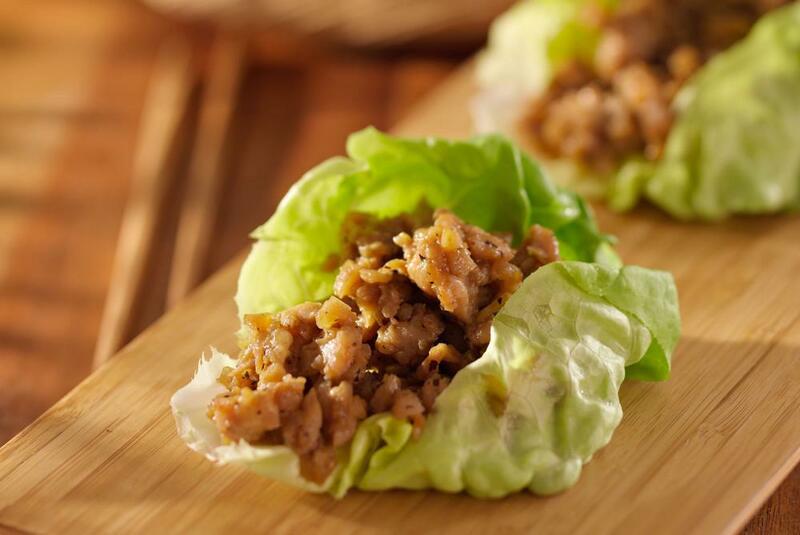 Serve the mince in lettuce leaves, with dips if desired.